Energy drinks can prove to be super useful to help you get through a workout without losing too many electrolytes from the body. Unfortunately most conventional energy drinks have artificial colours and flavours in them that are counteractive to supporting your body and health. Especially during the summer months, it’s super important to ensure that you’re replacing all the minerals you’re losing through your sweat as you workout, or even stroll through your neighbourhood on a hot day! I’m going to teach you how to make your own energy drink, that is not only great for replacing your electrolytes, but helps you to fortify your blood (great especially for pregnant women who have a 50% increased blood volume) and maintain muscle by providing amino acids. 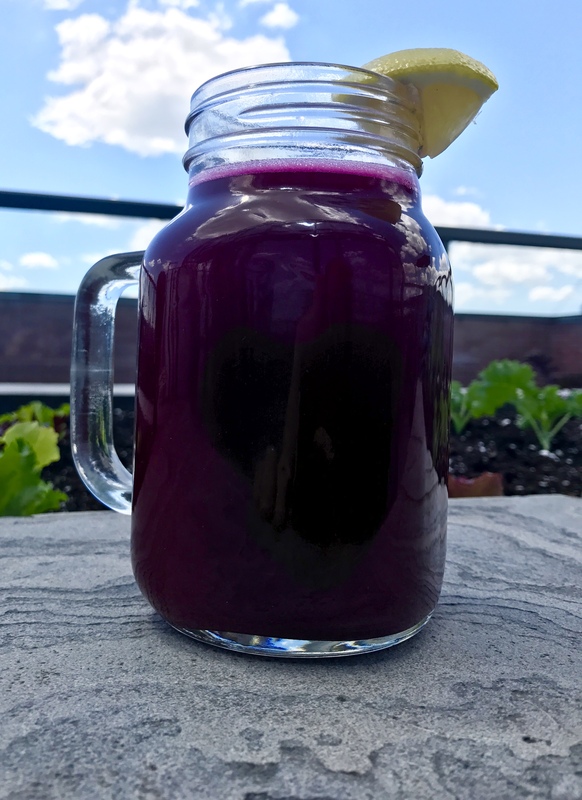 This drink also features magnesium to help relax the muscles to avoid too much soreness, vitamin C to support the immune system and L-Glutamine, which not only helps with muscle recovery, but can assist in healing the gut lining if you have any gut permeability (aka leaky gut). lemon is more vitamin C, a great detoxifier, but also just a nice taste to garnish! Bonus: you can garnish with some mint as well to add to the antioxidant count, and give a nice minty fresh taste! Try it out and let me know what you think of it! Do you have another great energy drink recipe? Let me know in the comments below!